Here are some ways in which telehealth helps achieve those outcomes. Through video conferencing, smartphone apps, and online communication, patients can access care from the right medical professionals from wherever and whenever they want. This is a major benefit for people that live very far from a clinic, such as those in rural or remote settings. Additionally, since all one requires is a smart phone or computer with internet access, it is a great option for those with limited mobility and for those with visual and hearing impairments. Additionally, by cutting out out the waiting rooms, inconvenient hours, and face-to-face meeting, healthcare will work into anyone’s schedule and will encourage patients to seek and receive help in a more timely manner. Eliminating the need for in-person visits by patients for routine or minor reasons saves hospitals money and reduces non-urgent ER visits. This leaves more time and money for hospitals to properly treat people with more serious issues. Moreover, the digital nature of telehealth promotes consolidation and organization of medical data. With technology automatically keeping track of even the most standard procedures and hospital visits, data will be more readily available and will also result in increased efficiencies. Being able to easily contact your healthcare provider via telehealth platforms has a number of benefits that increase the quality of your care. For example, early diagnosis results in reduced anxiety and earlier treatment. Furthermore, for conditions and afflictions that do not require an in-person visit, an online consultation can mean more rest for the patient and prevents unnecessary exposure to potentially dangerous bugs and viruses during their visit to a hospital or clinic. 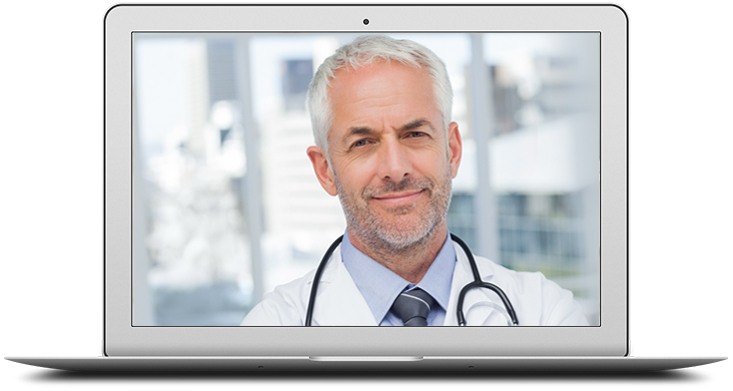 With the many benefits of telehealth, it is no surprise that 74% of people would prefer a virtual visit to in-person interaction. There has been a steady rise in number of platforms that offer such services. MDKonsult, a Canadian platform offers patients services such as prescription renewals, travel consultations for vaccines, and doctors notes – all of which are conducted virtually or via a phone call from the comfort of one’s home. While such services will by no means replace the need for hospitals and urgent care facilities, they will streamline our healthcare system by freeing up the time of medical professionals thereby reducing wait times and help increase the overall quality of care we receive. To find out how you can start benefiting from telehealth services in Canada, visit MDKonsult.